Stuart Glass has over 20 years of extensive experience in the representation of companies and individuals in high exposure cases, trials and appeals. His areas of practice include labor law, construction accidents and defects, premises liability, lead paint poisoning, medical malpractice, negligent security, products liability (manufacturers and distributors), smoke detector/fire liability, Dram Shop, and general liability matters. 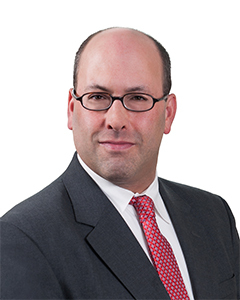 He has developed a reputation for success via his aggressive approach to discovery, depositions, and cross-examinations. Stuart handles all aspects of litigation from inception to resolution and has succeeded in the dismissal of many claims via summary judgment and defense verdicts. Additionally, he has substantial experience mediating cases and often obtains favorable results accompanied by cost effective savings for his clients. Stuart has prepared lecture materials for the New York State Bar Association and a comprehensive blueprint detailing how to defend lead poisoning claims. New York 1998 U.S.D.C. E.D.N.Y. U.S.D.C. S.D.N.Y.